At the start of our ten day trip to the coast, we had plans to pop to see a friend of ours in Hampshire for a few days. Or that's what I thought we were doing. Actually Jim had arranged for Paula to puppy sit Flash (he's basically the only reason we're allowed to go see her!) for a night whilst we jollied off to London for some fun! It was all a surprise, which meant I was confused all day - I genuinely didn't know where we were going until we were nearly in London, I was told to get on and off tubes without knowing the final desination, and the confusion only got worse when Jim's sister and Husband appeared with some crap story about visiting friends. 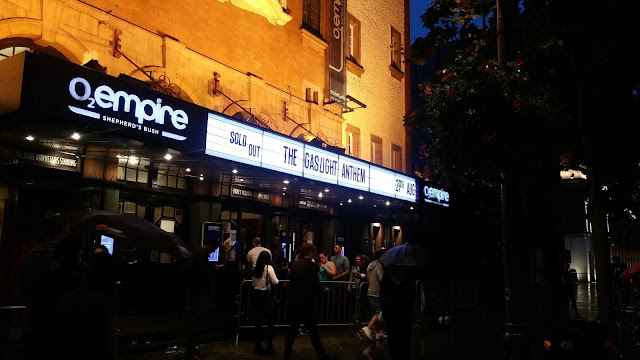 But it all culminated in us heading off to see our favourite band, The Gaslight Anthem, in their last ever gig before splitting up! It's a bit of a ritual that we always go and see them together so maybe I should have twigged when they rocked up that something was on the cards but I'll be honest I was so overwhelmed with not having a clue what was happening that I didn't even guess! Check out these amazing cocktails at the Shrub and Shutter. 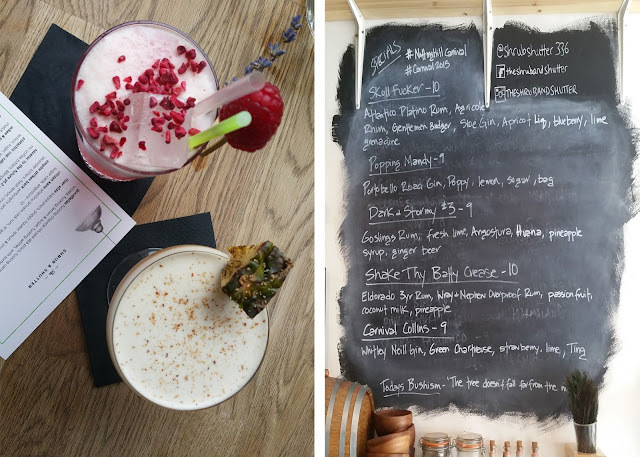 if you don't follow them on Instagram, you are missing out because they create the most awesome drinks. Mine was a Starwars themed gin concoction complete with Lightsaber and Jim's was an NWA whisky based bad boy. 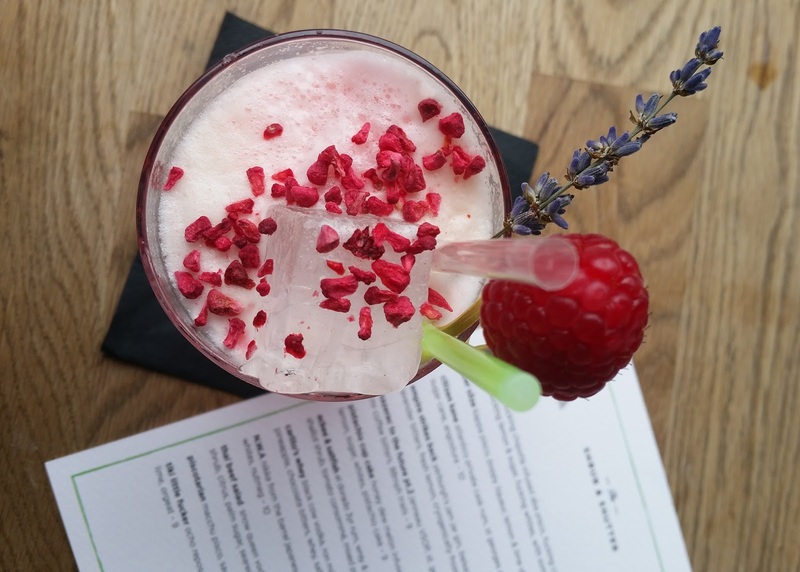 Working for a bar company, it's almost research to have lunchtime cocktails, right? We also had some epic bar snacks too! 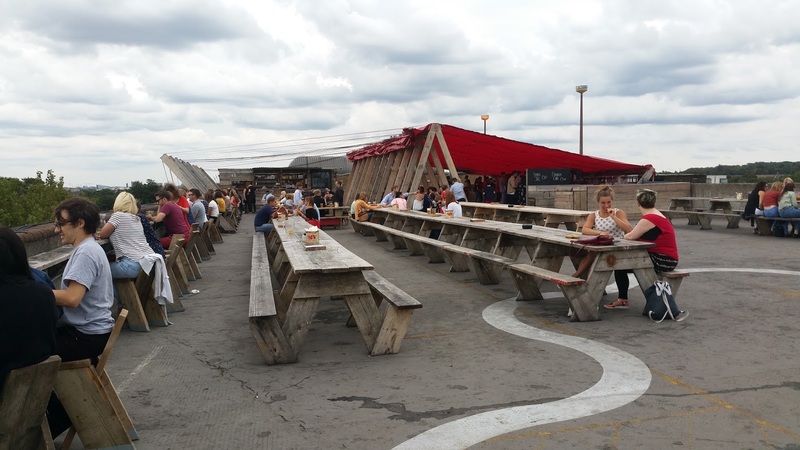 Our next stop was a bar on the top of a car park in Peckham with epic views over London. This was the suggestion of one of our friends Mike. I love that there are bars springing up everywhere and this is just such a simple idea. Now where is the nearest multi-story in Sheffield? 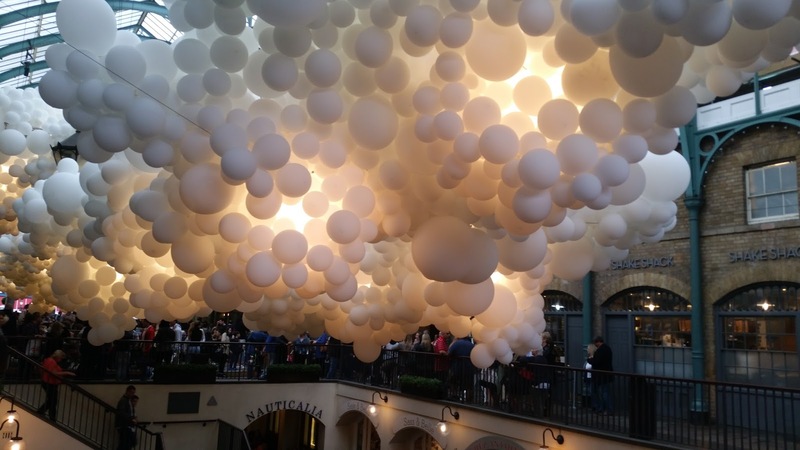 After a few more cocktails (strong ones too) we headed through Covent Garden to get some culture and look at the balloon instillation - no time for shopping though - damn it. It was beautiful, but I feel it was wasted on some of my companions.....heathens. From there we headed to Meat Liquor for a completely dirty burger and beers picking up one of my besties on the way - I'll let you into a secret, by now, I might have been a bit drunk so the photos of dinner are blurry as hell so I won't inflict it on you! But it was beautiful and to Jim's dismay I finished the lot! 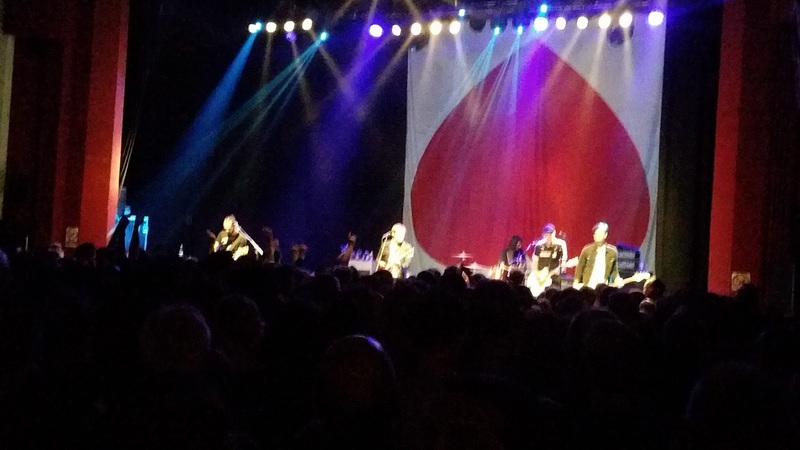 And finally we popped over to the Shepard's Bush Empire see the Gaslight Anthem. If you've never heard of them, head to whatever generic music site you use and listen to them now! You're too late to see them live but not too late to enjoy their music. They are the best. We've seen them on every tour they've done in the UK, and even in Vancouver now (I know, nerd alert!). It was the best set to finish with - they played my favourites, I sang until my throat hurt but I had the biggest smile on my face! It was the absolute perfect day spent drinking cocktails, going to cool bars, eating dirty burgers, seeing friends,singing until my voice went hoarse and generally having fun! The only problem is now I have to find a surprise of equal awesomeness for Jim!